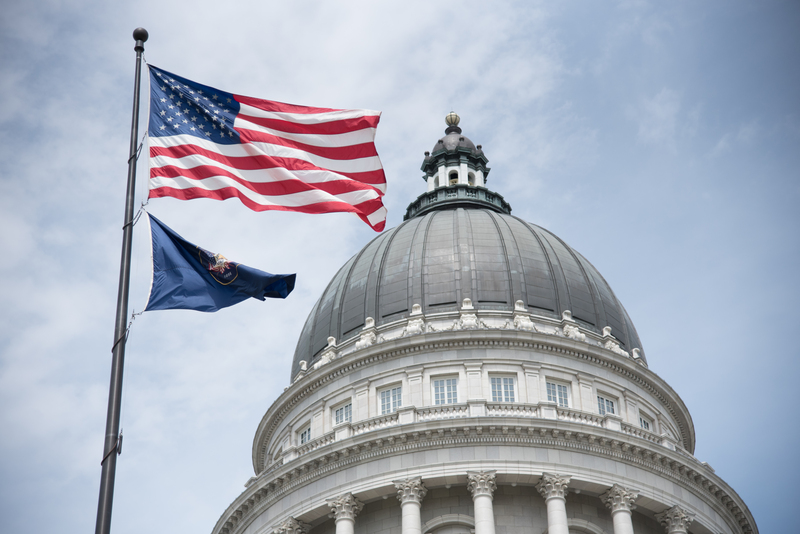 The Capitol Flag Program is run by the Capitol Preservation Board as a way for Utahns (and visitors) to commemorate holidays and special events, and to honor the work of community groups and civic organizations. You can choose either an American flag or a State of Utah flag and CPB staff will fly it over the Capitol building in honor of your recipient or special event! The flags are 3×5 feet and are made in the USA from 100% heavyweight nylon. To order, please send an email to Zach Ericksen. Each flag comes with a certificate. Please include what you would like written on your certificate. Line 3 can hold a maximum of 160 characters. The Capitol Preservation Board accepts cash, check, Visa, or MasterCard. Flags can be mailed at the charge of the buyer.